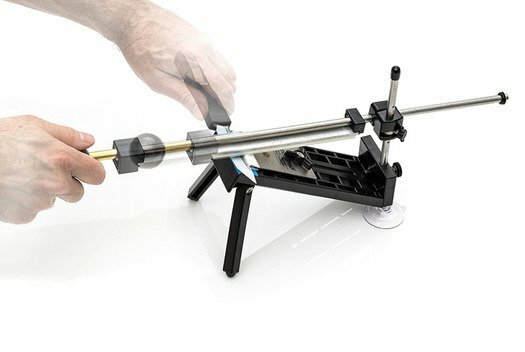 Patented Edge Pro Apex knife sharpening system will sharpen any size or shape blade, including serrated blades. Simple system determines the best angle. Knives can be sharpened at exactly the same angle every time, making re-sharpening so fast you will never work with a dull blade again. Custom formulated water stones free you from messy, gummed - up oil stones. The stones are long lasting and inexpensive to replace. Easy to change with a simple twist of the knob. Removes far less metal than electric sharpeners or grinders, eliminating wavy edges, adding to the life and performance of your knives. Removes nicks and dings without distorting the knife edge. Creates no heat - will not damage the temper of your knives. Sets up in seconds on any smooth surface. No power required. Comes with convenient carrying case - very portable. Requires no maintenance other than routine cleaning. The system does not clamp the blade, so you can sharpen any length or shape blade up to 90mm wide. 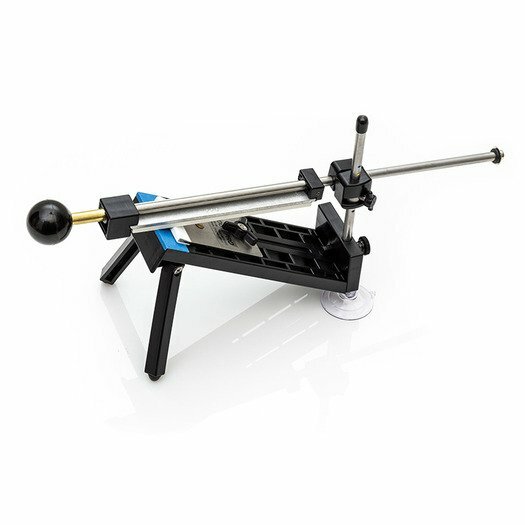 Adjustable sharpening angles 10, 15, 18, 21, and 24 degrees. Manufactured from the highest quality materials in Hood River, Oregon, US. The president and founder of Edge Pro, Ben Dale, inherited his sharpening skills from his father. Over a 10-year period he sharpened over 10,000 knives and built 100 knife sharpener prototypes. 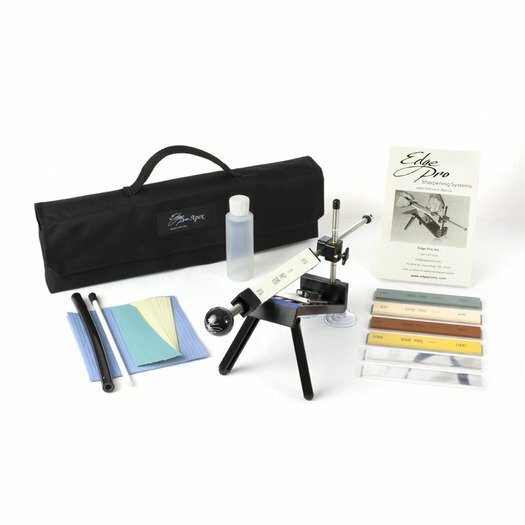 Accumulating experiences from years of strictly sharpening and designing, Ben Dale created an extremely easy to use and professional sharpening system that can take the dullest knife and put a perfect edge on its blade. The company’s headquarters are located in Hood River, Oregon, USA.